Inspired by the famous Gapminder visualization , we made our own interactive, motion bubble plot with a TCdata360 twist! Explore by-country data availability by going to this tool. Read more about some interesting findings we got using this chart in our blog. 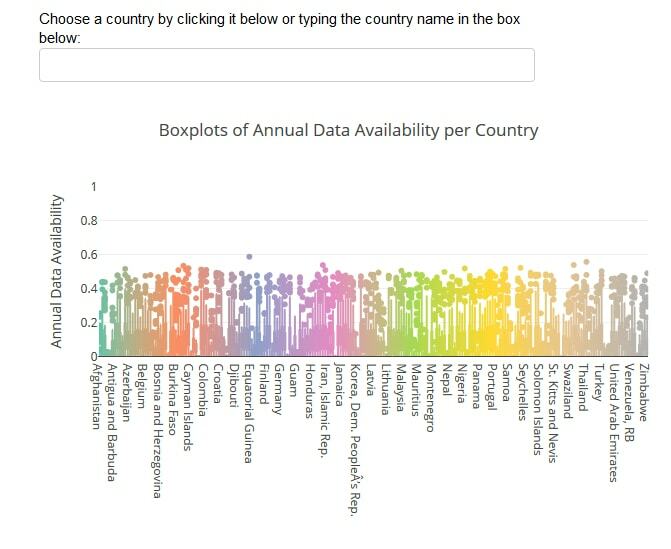 This boxplot shows the distribution of TCdata360 data availability per country. To select a specific country, either click on a particular boxplot or type the country name in the search box above the chart. For more details, read our blog wherein we go deeper into TCdata360 data availability country leaders and laggers. We often forget how intertwined dataset sources are and how this affects data analysis.In this blog, we're interested to take a deeper look at the "dataset genealogy” of TCdata360 and answer questions such as –Is it safe to do crossdataset analysis using TCdata360 datasets? 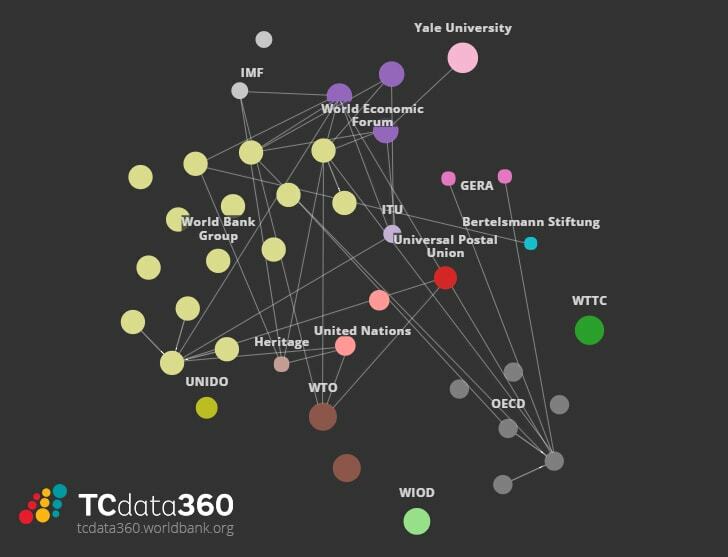 Are there interesting patterns in the relationships between TCdata360 datasets? 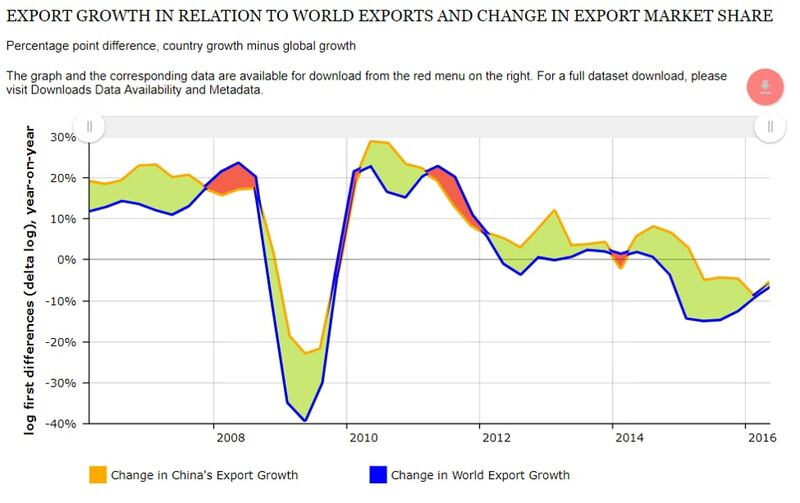 Explore export volume by product classification in using this interactive streamgraph. The chart was generated using the data360r and streamgraph packages in just a few lines of code! Read our blog to get step-by-step instructions for creating your own interactive streamgraphs. 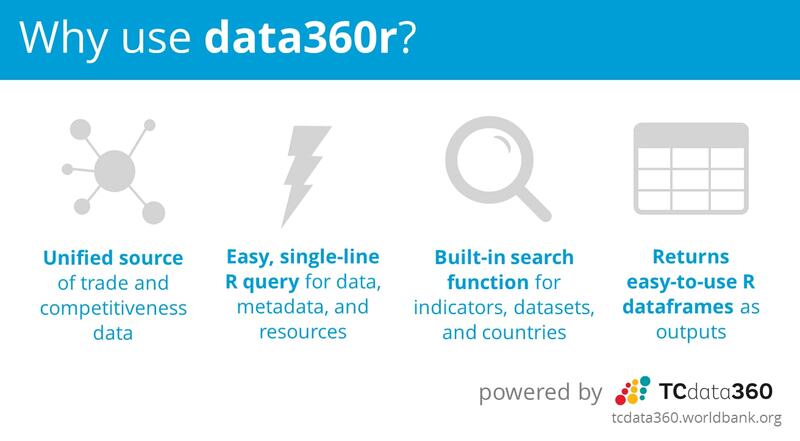 Data360r is an R package that allows users to easily query using easy, single-line functions, powered through our TCdata360 and Govdata360 APIs. 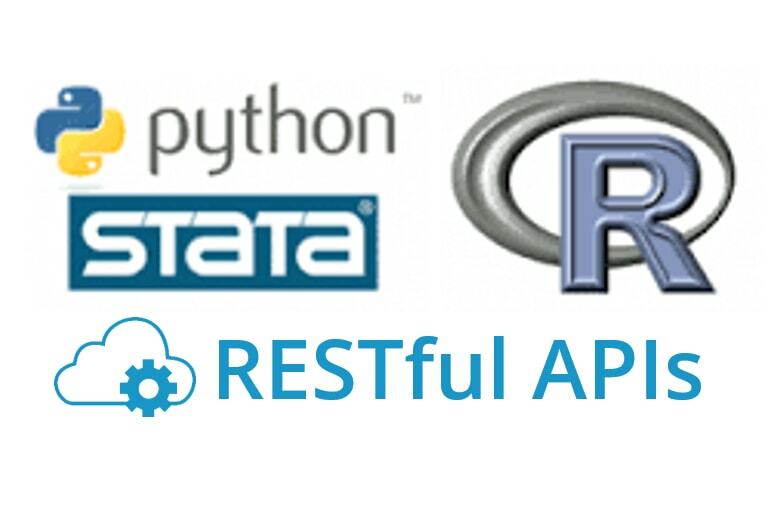 Go here for data360r installation, examples, and use cases in just 3 lines of R code. You can also read our blog for an overview of the benefits of using data360r. Explore TCdata360 data in a different way. We put together the Open TCdata360 Topology tool , a cloud visualization that groups countries according to the main TCdata360 indicators across time. 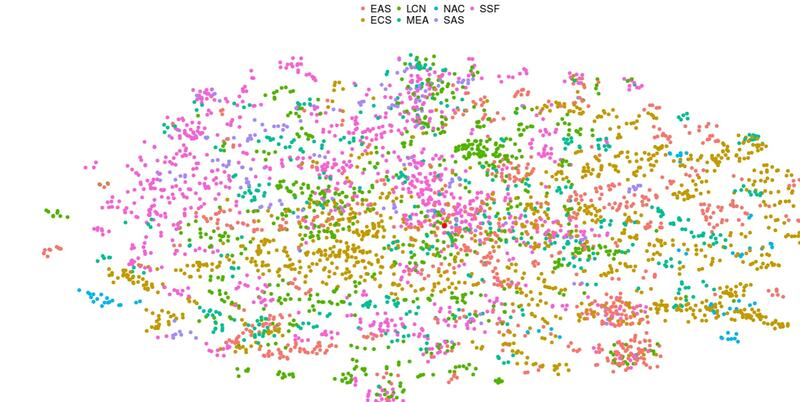 This is an innovative way to look at big datasets. It is written in R and reads directly from TCdata360 API. This blog describes a few analytical possibilities of the tool. Suggested Peers uses countries' similarities based on two indicators: GDP per capita (current $US) (WDI) and Population, Total (WDI). Total (WDI). Read more here. Measuring Export Competitiveness Country Comparator uses a methodology developed at the World Bank. Read more here. Available Indicators By Country. Easily look up all available indicators for a specific country by going to this page. We started this Data Science corner to push the boundaries of our open data and increase its accessibility and usage for all types of users. To do this, we definitely need better and more innovative data science tools and data stories!